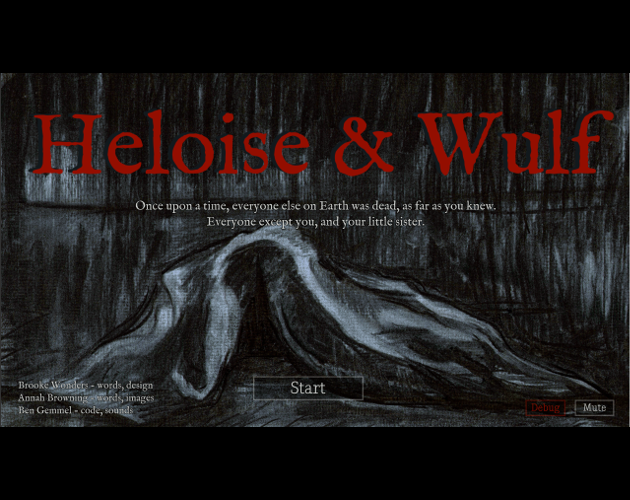 Welcome to Heloise & Wulf, featured in the Winter 2018 Online Edition of Black Warrior Review! Heloise & Wulf is best played in full screen mode (button with arrows at lower right corner). * If the game does not load for you, try using a different Internet browser or updating your existing one. Headphones or external speakers recommended for the best aural experience. *Note: Full screen mode does not work in Safari.